New Zealand Alpine Club Australia Section Inc.
From the sandstone of Arapiles and the Blue Mountains to the much-underrated couloir and ice climbing of the Main Range, Victoria and Tasmania. Whether your interest is rock, snow, ice or all of the above, Australia has a lot to offer both native Australian and visiting New Zealand climbers. 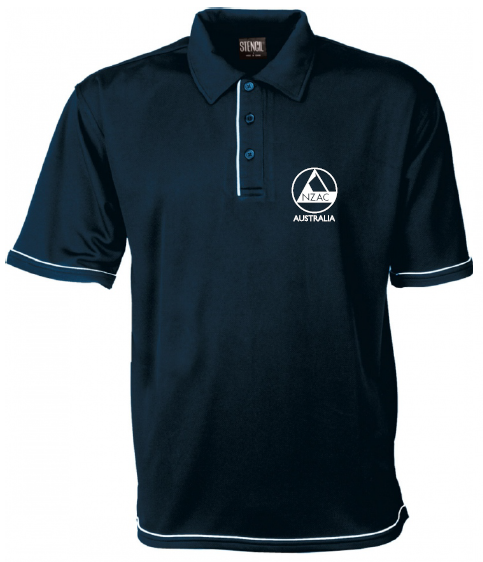 The Australia Section includes many of the country’s, if not the world’s, best alpinists. It maintains both a Facebook Page and a Facebook Group. A number of section events and trips are offered throughout the year to provide a chance for members to consolidate skills, socialise and experience all that Australia has to offer. The Australia Section hosts local Section Meetings/Social Climbing Evenings on the third week of every month at indoor climbing centres across the country. They provide an excellent opportunity to meet, climb and discuss ideas with fellow members of the Club. Please see the Section Events Calendar for more information on these evenings. The Australian Section now has merchandise available to be purchased, click here to view and order. Please contact the member services coordinator once you’ve placed an order so we can calculate postage to you and send through the total amount to pay with the section’s bank details. We will be starting off with a limited amount of short sleeve polo shirts (185g 100% yarn treated Cool Dry) in both men’s and women’s styles, gauge the response, then look to list long sleeve polo shirts and a variety of hats. Heading out on a backcountry or alpine trip? The section has avalanche transceivers and probes to hire for members. Hire form is downloadable from here and needs to be returned to the Treasurer. Avalanche Transceiver and probes $25 , deposit $200. Person Locator Beacon $20, deposit $150. See hire form for details of longer term hires. NZAC will pay for postage to the member however it is the members responsibility to pay for return postage of all items. The Section runs a number of diverse events throughout the year. Information about these can be found on the Section Events Calendar. The Facebook Group also provides an opportunity for Section Members to post information about privately organised activities. The Programme for 2019 is currently being reviewed and updated, in the meantime, most confirmed events are listed on Facebook. Got an idea for a Section Event? Let us know via Facebook or email us at australia[at]alpineclub.org.nz. Each member of the Section Committee is also a member of the Section’s Facebook Group. Please feel free to let them know your thoughts via public post or private message at any point. The Section Committee ordinarily meets on the first Tuesday of every second month (January, March, May, July, September, November) and holds an Annual General Meeting in June each year. Elections are held for membership and offices of the Section Committee in accordance with the Club Rules and Australia Section Rules.